You are playing in “We Will Rock You” musical since 2002. How much demanding are these performances? We try to play with the same integrity as if it was a difficult concert. Maybe, I play more strongly because there are 9 musicians in the band and about 20 or 30 people singing onstage. There are a lot I try to get through as a bass player and well, it’s my particular way of doing things because I don’t want to sit in the background and have a lazy time. I try to give it everything I have. So, this can be a hard work. Does the fact that you are doing regular shows each week for “We Will Rock You”, make you reject offers for projects and tours? Not much. Certainly, during the 80s I used to be out going to see other bands, going to parties or clubs where I would meet other musicians. Whereas now, it will cost me a day’s work to go and see any other bands. So, I have to choose carefully. People tend to forget that you are around or they think that you are always busy and that you can’t do anything else. So, although that in the theatre we work 6 days a week, every week of the year, in actual fact I can take any time I want. I can take 6 months off to do other things that I wanted but I wouldn’t have any money if I do that. So, during the period I’ve been in We Will Rock You in London, for a lot of that time I’ve been touring, some of that time with Bernie Marsden and Micky Moody from Whitesnake and now is the plan to do a lot more work with Micky Moody and now as you know, I also sometimes work with Michael Schenker. Do you see Snakecharmer, your band with Micky Moody as a tribute band to Whitesnake or you will also record something on your own? Well, it certainly started with us playing Whitesnake songs but even last year when we begun after doing many other things, we were still doing 2 or 3 cover songs of the other members’ bands: Harry James, the drummer who was in Thunder and Magnum, we were doing a Thunder song, Laurie Wisefield, the other guitarist, who was in Wishbone Ash, he were doing an instrumental by him and Chris Ousie, the singer from Heartland, we play one of his songs. But this year, he have partly done a live work, we have tried to organize the management things, which now have one, but we have also started recording some new material, we’re just in the beginning of making probably an album. We’ve finished two new songs and these sounded very good, and we really hope to do a lot more. To start with, the audience mostly wanted the classic Whitesnake songs, because the current Whitesnake doesn’t sound like the band from 30 years ago, when me and Micky, and before that, Bernie was in. We played in a style much more bluesy and I hope we will manage to get out and play much more gigs next year. How do you feel that great musicians like Brian May and Roger Taylor trust you so much and for so many years? It’s just a kind of luck in a way, and the one thing leads to another, that it allows me to have the chance to play with people like that. You know, sometimes you have to go back almost 40 years to see the beginning of something. I met some people in the early 70s, which led me to play with Cozy Powell and his band. Cozy Powell had Bernie Marsden and Don Airey as keyboard player in his band in 1974, so knowing Bernie led me to Whitesnake and then after Cozy left Whitesnake, it led me to be in Black Sabbath with him and then it led me to be in the Brian May Band, because Brian was a good friend with Tony Iommi from Black Sabbath. So, one thing slowly followed to other and it’s quite different if you are completely unknown person and suddenly you got to play with some of the best musicians. It would be really difficult, really exciting but for me it happened really quite slowly over a long period. So, it feels quite natural and then some other times you’re working with someone for a long time and then he decides to do something else, so you’re not working with many, more. But it can be years when you are doing lots of exciting things, working with some great people and then the other year, you almost doing nothing. So over the last 40 years, I worked with some great, great people but also other times in that period, some things they haven’t been so good, maybe there ‘ve been very poor and you know, weren’t all always perfect and beautiful for sure. As Whitesnake were evolving into a huge commercial band in ‘80s, did your relationship with David Coverdale became more difficult because of fame and money? You know, he moved to Los Angeles in ’85 and has been a kind of American since then and starting from the time he signed with Geffen Records in 1982, it changed the feeling within Whitesnake, from being quite a democratic band with David as the leader, to be much more David and his backing musicians. Certainly, it was what the management and the record company felt. Personally, you know, we got on pretty well, but he changed quite a lot as he became more successful and I guess more Americanized. You know, in many ways he educated himself in learning more things in all kinds of ways in art, music and culture and changing his friends. That was with firing me, because of the circumstance making the album “1987”, which started in October ’85. Because that album took so long and because he was really working all time with John Sykes (Whitesnake then guitarist) and they were kind of competing each other, it wasn’t that much a band and I stopped being a very important part of it. So, it became more difficult because they were spending a year recording in different studios in America, and I’m in London, so it became difficult to be in contact and feel comfortable with some people being there and working in the other side of the world. If I was there, I would probably be much closer in terms of friendship and being colleagues. Once you’re thousands of miles away, it was easier for him to release me from Whitesnake and move on. Do you think you should receive more credit from fans and press for your contribution in Whitesnake’s golden years? How much pressure did you feel during your Black Sabbath period, from the fact that you replaced Geezer Butler? Well, almost no pressure from Tony Iommi or any other members but it was more a kind of pressure from the audience, to realize that the majority of the audience really wanted to see the classic line-up of the Black Sabbath from the 70s and I’m not Geezer Butler and he’s not me. 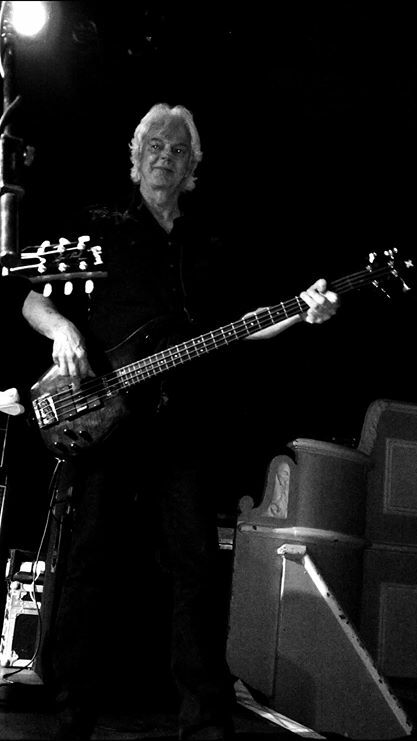 You know, I tried hard to play in a style that was pretty similar to his, and he have a lot of the same influences, particularly Jack Bruce from Cream, but there was always a difference and sometimes it may not be logical in if I play something and Geezer plays something, the fans will always think that he plays better because he’s..
Exactly.So, there are some people who might prefer the original Whitesnake because in that, it was me. I complain about it quite a bit in recent years because I have to play other people’s bass lines, I had to play Geezer’s bass lines, John Deacon’s bass lines etc etc. So, they are all great players, don’t get me wrong, but it’s more nice to be in a situation where you have your own styles and your own ideas. Do you have happy memories from the albums you did with Gary Moore? He did his best albums with you! It’s your opinion, so other people might not agree with that. I was good friend with Gary for a few years, from the time we played in Colosseum II in ‘75-’76. When he was doing more straight rock music in the early 80s, it was a change for me to come from a democratic musically freedom during the songs, where the songs allowed me a lot of freedom in Whitesnake to Gary’s situation where it was much more his band and the songs didn’t commit much musical freedom for the bass, and he wanted the bass more in the background really. I did some adjustments then, but really by the time of the second studio album “Victims of The Future” I wasn’t very happy with the combination of Gary and the producer he used that time (Jeff Glixman), I was really felt more like a..
Yeah, basically. Which it’s fine but..
(Laughs) I don’t think the things for Ian Paice were very happy, he stayed a few months more until Deep Purple reform. It’s different philosophy I had to prefer some situation where the bassist played some interesting stuff and react to what the guitarist is doing and what the drummer is doing, not playing a pattern which is the same every single night. Other people and in some extent Gary, would prefer the bass very much in the background, not getting in the way, let him do his things. We often had exactly the same musical tastes, but sometimes what he wanted from the bass player wasn’t really quite right for me. But I’m not saying that I was right and he was wrong. It was just a different taste or a different attitude. Ian Paice told to friend of mine from Greek Metal Hammer that he liked the period he played with Gary Moore but it was the only time in his career that he thought he had lost his tempo in drums. He liked that period and he said “playing with the incredible Neil Murray”. I’ve heard from other people that Ian says good things about me, and I occasionally do a little bit work with him. I played a concert in Sardinia, in the beginning of September where I played a few Deep Purple songs with him and I’d love the have the chance to play with him more, but I didn’t have that feeling at the time that he thought anything special about me (laughs). My feelings for most of the years is perhaps that he preferred Roger Glover’s style as a bass player which is quite different than me, but when people ask me about my favourite drummer to play with, I always say Ian because he has, kind of like me, a lot of different influences, he likes a lot of different styles in music, not just a heavy metal drummer, he played jazz or blues or whatever. He likes doing unexpected things which I like to hear much more that the simulated, if somebody does something unexpected. There have been periods when he maybe felt under pressure to change his style because the particular way he played wasn’t in the fashion of that time. But certainly he’s one of the all time great drummers for me. You were very close friend with Cozy Powell. Were you shocked by his unexpected death? Ofcourse. It’s a real shame that it happened that way and I wish he was still around now. He was always a bit of a wild guy and maybe a little bit irresponsible as far as driving fast or being a bit rebellious whereas I’m a little boring, in courses of that. But it’s just a shame that there is no more music to be heard when somebody like that passes on, when it’s an accident like that you say “Well, it’s more tragic than somebody being ill or has a horrible disease”, because it would be so easy for this not to happen. I mean, we worked together a lot, we got on well but because we were very different personalities, we weren’t so close friends a people think, when we didn’t work together, we didn’t keep in touch very much. He lived out in the country, I lived here in London, he was interested in a lot of things that have to do with the countryside from fast cars and things like that. He also loved horses and other animals and that isn’t my area particularly but we liked and respected each other a lot and for long. Who is the person you had the closest musical partnership onstage? Well, I guess probably Cozy. That’s difficult, I’ve tried to be myself in whatever situation I’ve been. I mean, with Cozy being a powerful personality and a powerful drummer, I’ve been trying to be as tight with his playing as I could be, to make it even more powerful. If Cozy were playing with not a very good bass player, he would still sound pretty good. So, if I can make it as powerful as it can be, that what I’ve been trying to do. The emphasis on being very strong and powerful and not on trying to mute different complicated things. So, I was following his lead in terms of what he played. Can you describe us our feelings the first time you played with Peter Green? I think of Peter Green as being two different people. The way he was in the 60s was much more forceful, very tasteful. He was a very strong character in the 60s, he could feel that true as he was playing. When I played with him, in ’96 I guess we started, he got through so many difficulties, he has much much changed a person, very much quiet ,very timid as far playing and singing and doing anything. He had to adapt very much to play in a much gentlier style while I’m not completely falling apart, I had to have some a little bit strength to do it, to support him. But the whole process of him coming back into playing took quite a long time and I feel the first year or two, probably people didn’t see the best of what he could do, even the way he’s now. I mean, the things that he’s really good at have to do with his blues feeling and his sensitivity, a kind a phrasing with his singing while playing which is very difficult to do, very subtle. He wasn’t to be how he was in the 60s, that unfortunately that is what people want to hear, playing with Les Paul and being like he was then, and that really he doesn’t want to happen. But he still has something very very difficult for other people to achieve. Whether is this part of his soul or whether is from immersing himself in blues records for so many years, he has a kind of quality, but quite unique. What memories do you have from 1981 Secret Policeman’s Other Ball shows playing with Eric Clapton, Jeff Beck and Sting? That was an unusual situation because I ‘ve played in a couple of people’s solo albums: Jon Lord and Bernie Marsden, where they used Simon Phillips on drums. Jeff Beck and Eric Clapton, along with Simon and Mo Foster from Jeff Beck Group of that time, they had arranged to do all these 4 concerts with all sorts of comedians, actors and musicians, but Mo Foster was busy for the first two shows, so Simon suggested that I had to play with Jeff and Eric. And I used things around that time a bit too, and no matter that, I had the chance to play and chat a little bit with those two and Sting also. We played a version of “Roxanne”, I think with him playing guitar, me playing bass on the first night. So, I did two songs on the first night with Jeff and Eric. One song with played it both nights, and we did a different song the song night, so we played three songs: “Crossroads”, “Further On Up The Road”, “Cause We’ve Ended as Lovers” (ed:I wish I was there!) and we played one all in the finale, “I Shall Be Released” with everybody. I think it was good. Now, the third night of the show, I think the previous night Eric went out and got drunk. Patti his wife (ed:ex-wife of George Harrison and Eric wrote “Layla” for her) told him “Oh, you don’t have to go out” or something like that. So, Eric and Jeff didn’t play on the third night. On the third night Mo Foster returned, so he played with Jeff and Eric Clapton on the fourth. That was the night the used for the film. But, I’m on the LP, there was an LP from the shows, that I’m playing on “Crossroads” and mo Foster plays on “Further on Up The Road”. It was a great, great experience just to have the chance to play with Jeff and Eric. I played a little bit with Jeff after that, rehearsing at his house with Simon and me. He was trying to get a band together with a singing bass player, that wasn’t me. They tried Eric’s people and then they tried singers and I helped with the auditions on singers. But some time you think that “Well, I had my chance to play with Jeff in 1981”, it would be nice to happen again, but I think it’s probably fine. You have played with the great Bill Bruford (Yes,King Crimson). How was playing with such a fantastic drummer? He gave me a very interesting interview last year! Yeah, Bill is a great drummer and probably a very intelligent guy. He wrote a fantastic book where he’s saying many intelligent things about the music business and other musicians. He was great to play with him particularly in the mid 70s when we played very complicated jazz fusion kind of music, that really was bit out of my depth, back then. I mean, that level of ability that it needs, but Bill has that ability of making complicated time signatures sound like they flow, not jerky and unmusical. This is a style of music that still not many people listen to, because it’s too complicated and too.. I don’t know.. too intellectual as the passion for fusion music really died in late 70s. They are really good, the guys who get on playing that kind of music. In a way, it was good watching Bill getting along, it was good to get on jam. When Bill did his first solo album, I played on the rehearsals for that, because a really great bass player, Jeff Berlin wasn’t available, -he plays on the album. Then I did a couple of songs on the BBC live show “The Old Grey Whistle Test” ,also because Jeff was busy. It was nice that I had that little thing. Now, we’re talking about a few days out of my life, really (laughs). And a little bit tour when Bill was guest drummer with the National Health in 1976. A long ago. Was it difficult to work with Michael Schenker for “In The Midst of Beauty” album ? I never knew Michael very well. I mean, we had played over the years and have met him, occasionally. I think the idea for this record –I mean there haven’t been complicated circumstances- was to go back to the original line-up with Simon Phillips on drums and Don Airey on keyboards and I think, I don’t know for whatever reason, they decided to use me instead of Mo Foster on bass. But the way of the recording of the album was very cheap. They used a very small studio in Germany and everybody played the parts one at the time. I mean, when I was working there, Michael wasn’t there. It was just the producer and the engineer and Simon had done his parts in his own studio in Los Angeles and Don Airey had done the keyboards some weeks beforehand. It wasn’t like playing with a band. It was like come along and play your parts, something that is quite common these days. Some even send things through internet: “I put the pass on, and you put your drums part and we do this thing”. I think the idea of that album was to go back in time and get some people to play there who are quite well-known to show to world that Michael wasn’t suffering any problems. Then, we went to Japan, in the beginning of last year and we did five shows there, we shot a live DVD there and he also played in that concert I played in Sardinia, some months ago. But, you know, it’s an occasional thing. I think Chris Glen, the original MSG touring bass player, suits more to the band and the music than I am. But it’s nice that I occasionally play in that. Is there anyone you’d like play with and hasn’t happened yet? You have played with many many people. Well, it seems that way but I don’t know. There are many nice people in the world who I’d like to play with them. I don’t know. I think that you can play with some great guy but actually the situation, would be not that good. 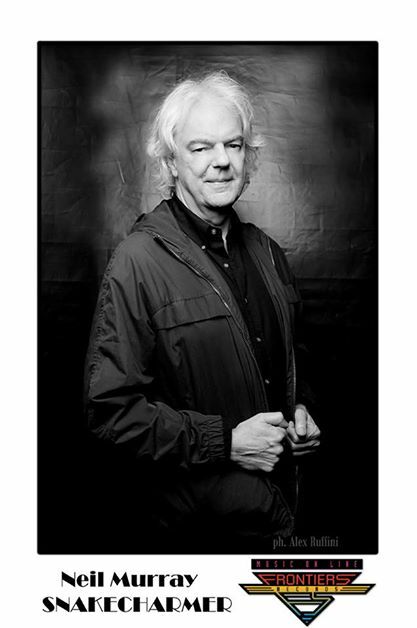 Maybe with David Gilmour for example. With David, I mean he doesn’t need my style of bass playing, if he will play Pink Floyd songs, I don’t think I’m the right person. He’s great, there are many people who are great guitarists and singers, but sometimes it would be fan to do that kind of thing once or twice, but it wouldn’t be terribly satisfying to do it. Again, I would have to play Roger Waters’ parts. David is a great bass player (“One of These Days” for example). He has recorded about half of the bass parts in Pink Floyd records! (Laughs) I know that. My brother is one of David Gilmour’s managers. I hear about him and Pink Floyd all the time. I don’t think that would be a very realistic thing to happen. He knows bass anyway (Laughs). You never know. Do you remember the Athens show you did 1993 with Brian May supporting Guns N’Roses? I wish I had the chance to be in Greece more often. The two shows I did with Peter Green, there were the most kind of heavy metal shows we did ever! Because the audience was so excited and I was quite happy to see myself and Cozy there. Yeah, it was great to play with Brian on that tour. We did a lot more in America supporting Guns N’Roses as well. Then we thought that Brian would do more touring, but it took him five more years and ofcourse, not long before the tour in ’98, it was when Cozy died. So, it would be great to do some more stuff with Brian before that. But time it’s just the way it is. 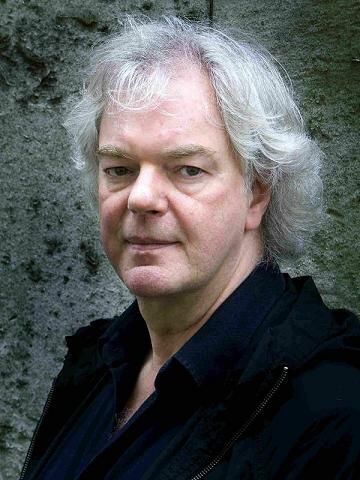 A huge “THANK YOU” to Mr Neil Murray.